Please come join us in a fun filled day! We will have an Easter egg hunt for children ages 5 and under starting at 11:15am and one for children 6 and up starting at 11:45am. 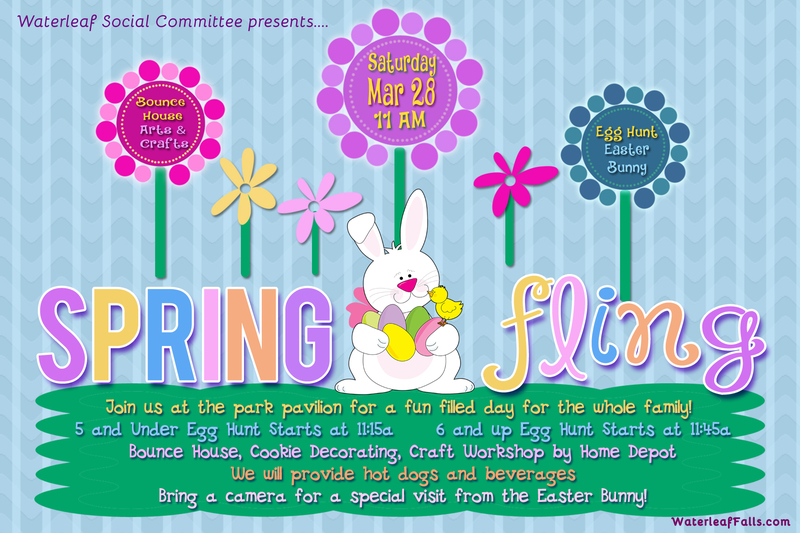 We will have bounce houses, cookie decorating and a craft workshop sponsored by the Home Depot. We will also have a surprise visit from the Easter Bunny so be sure to bring your camera. We will be providing hot dogs and beverages so bring the family out and celebrate with us!